When I was in Australia I had the great pleasure of going to the quilt and craft show in Sydney. Cash Palace had a stand there and I bought some pieces of old kantha quilts from them. I've been looking at them waiting for inspiration to hit! 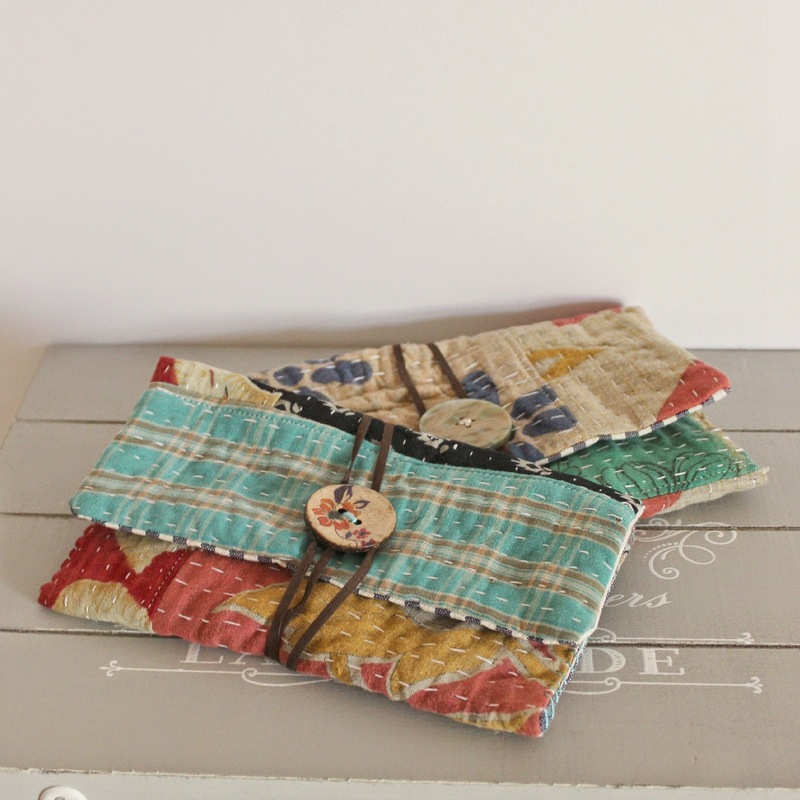 it finally did and I made these gorgeous pouches with some of them.